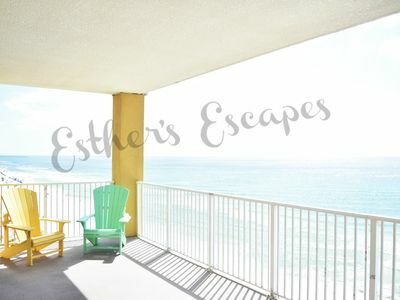 FAMILY VACATION DESTINATION "Most Desirable West End" Of The Beach"
Please call **850**234**5500** for any unadvertised specials. 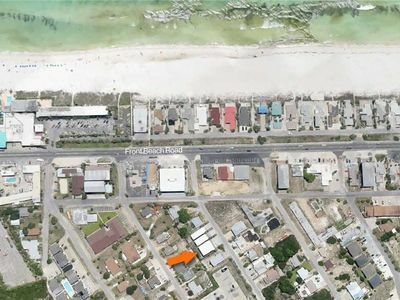 Located on the “Most Desirable West End” of Panama City Beach. Away from all the traffic and crowds, but yet close to anything you may want to do during your vacation. 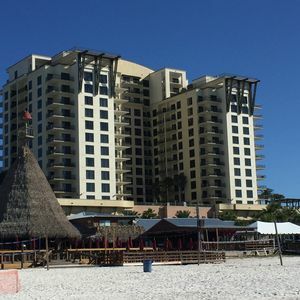 It is the newest building on the beach, completed in late 2009. 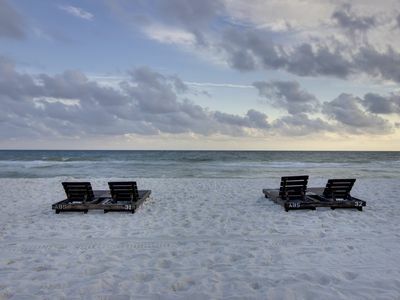 Directly on 300 feet of prime, clean beach, you are just steps from sinking your toes in the sugar white soft sand. 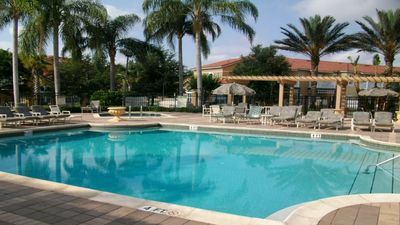 Tropic Winds has an indoor/outdoor pool, steam room, sauna, hot tub, and a fitness room. 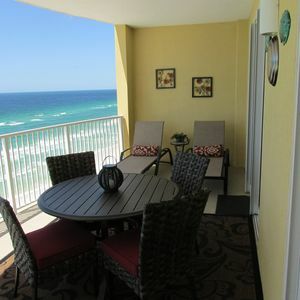 And a large Sun Deck overlooking the ocean. Enjoy grilling meals for your family? … There are 3 gas grills and 2 charcoal grills for your use, as well as picnic tables to gather around and enjoy. 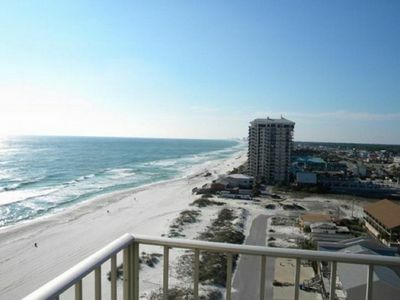 Tropic Winds has the largest private balconies of any condo building on the beach. 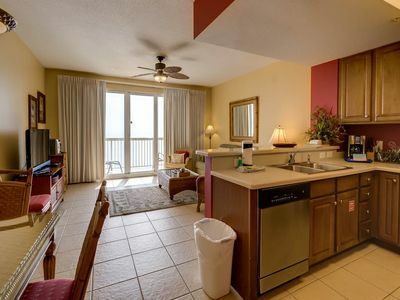 This unit includes a huge private balcony (10X28) overlooking the beautiful Gulf of Mexico. Enjoy beautiful sunrises while sipping your morning coffee. 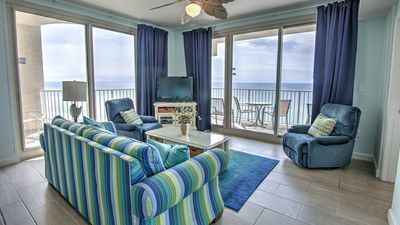 Plan to have your breakfast dining on the balcony while watching the dolphins swim by and practically touch the pelicans soaring by. 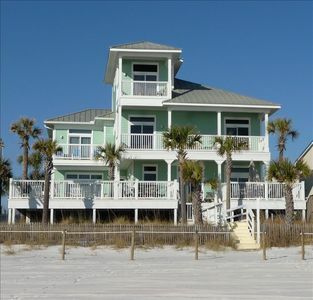 Or just savor the sights, sounds, and salt air. 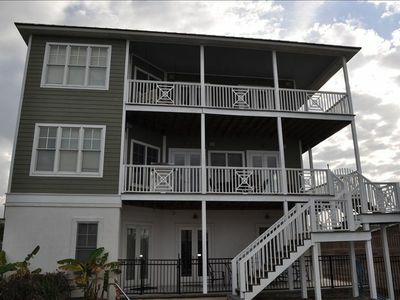 And don’t miss the magnificent sunsets that you can enjoy right from this private balcony. Watch the sun sink into the horizon while enjoying a glass of wine, winding down from an exciting day at the beach. 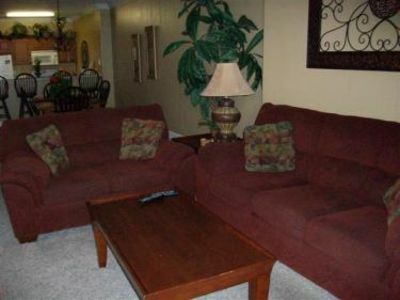 This 8th floor 2BR – 2BA condo is tastefully decorated and sleeps 6 comfortably. 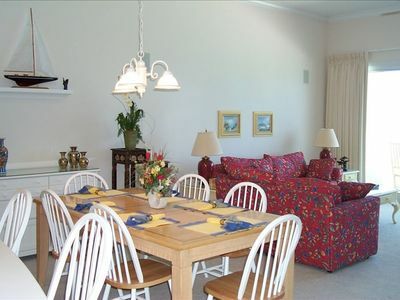 It has a well-stocked kitchen for preparing meals, a dining table that seats 6 people, and barstools at the bar. This unit also has a keyless door entry, no worries of losing the keys or remembering to return them. 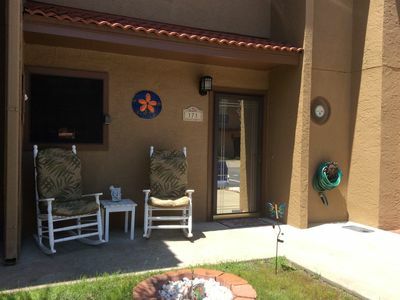 This unit also includes a dedicated parking space in the building garage, just steps from the elevator. No crossing the street with your luggage, groceries, or children or wasting valuable vacation time driving around a huge parking lot trying to find a parking space. 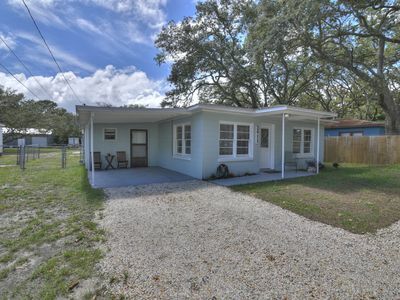 Just 2 miles west of the ever popular Pier Park, an outdoor mall, with beautiful streetscapes and sidewalks. Restaurants, some that have dining that spills out onto the sidewalks, music throughout, unique shops, a large IMAX theater, and entertainment for all ages. There is also an amusement park, with carnival rides from the past. Pier Park is a “must do” during your vacation stay. Nearby is several chain grocery stores, as well as a smaller gourmet grocery, The Carousel. It has its own fresh meat market, a great produce selection (from local farmers in season), the best wine selection on the beach, a separate liquor store, and a sweet little gift shop. There is also drug stores and urgent care facilities in very close proximity. 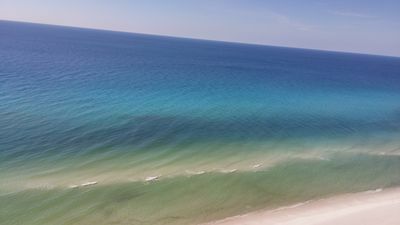 Historic downtown Panama City and St. Andrews Marina are just a short drive to the east. Scenic Hwy. 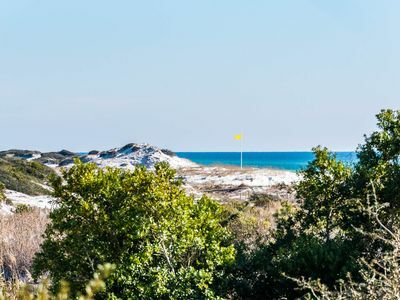 30A is just a short drive to the west. 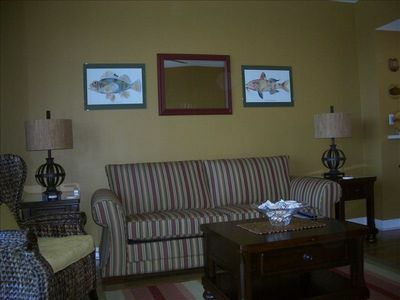 Enjoy renting bikes and riding the bike trails, or just wandering around the many shops, restaurants and local bars. Property manager lives in the building and is available to help with any needs or questions. Come discover why Fall is the local's favorite time of year. 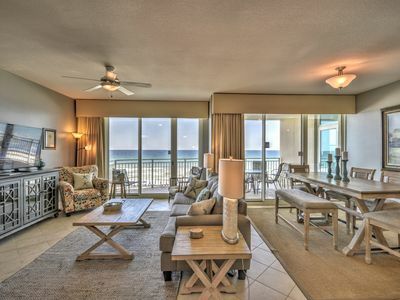 Oceanfront condo w/beach & pool access, and stunning views - snowbirds welcome! Great Value for Fall and Winter! 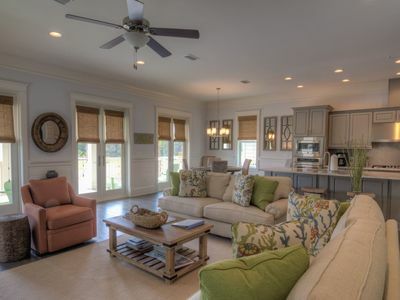 Beautifully coastal decorated 1 bedroom updated @ Origin, Sleeps 4! 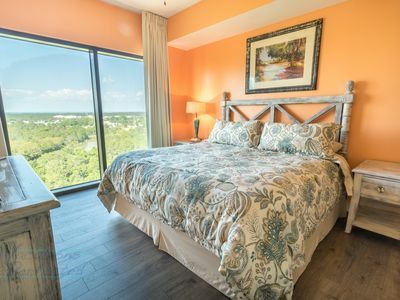 Lounge the day away at Panama City Resort!